Yesterday, we reported that Fox News had made an uncharacteristically stupid argument when it implied that Jamie Lee Curtis was a hypocrite for using a gun in the new Halloween movie despite being an advocate for stronger gun control in the real world. Even without the mountains of other evidence, this would be definitive proof that Fox News is a dumb organization run by dumb people and targeted directly at people who are dumb, and the internet had a good time dropping powerful dunks on Fox News’s dumb face. USA Today (an outlet that also knows a thing or two about being dumb) called up Curtis to ask for her opinion on this “controversy,” and she happens to think the whole thing is “just silly.” She notes that Fox News was “trying to make a point without ever asking me what I really think,” adding, “and what I think might surprise them.” Specifically, Curtis wants the record to state that she’s not anti-gun, she just supports “common-sense gun safety and gun laws.” Curtis supports bans on assault weapons and bump stocks, but she wants Fox News to know that she doesn’t mind it if people have guns, as long as they’re properly trained and licensed. 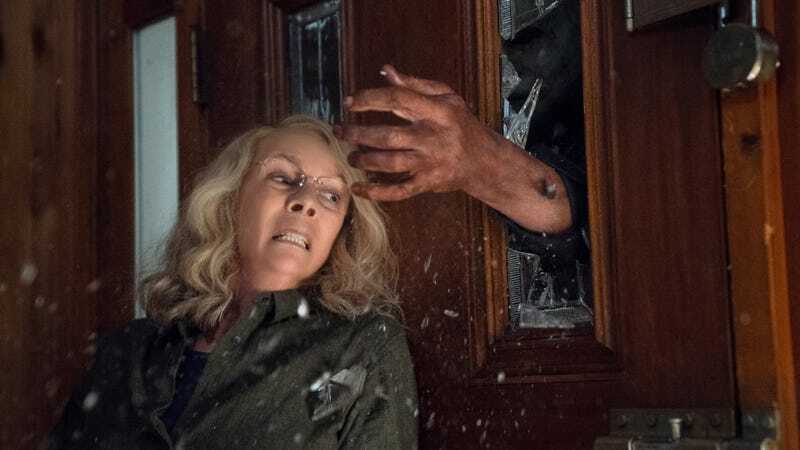 So yeah, it’s okay for Laurie Strode to use guns in Halloween because Jamie Lee Curtis thinks it’s okay for some people have guns. In retrospect, she may have lost the thread of why the Fox News story was so absurd in the first place, all in a noble attempt to avoid offending any of her gun-owning fans. Hey, it’s almost like this entire thing has been dumb!